Many employees have grown accustomed to having multiple phone numbers, voice mailboxes and other communication devices that they carry around on a daily basis. Each device has its own purpose and is used for different actions. Common sense tells us there must be an easier way. Using so many tools can potentially reduce or dilute their effectiveness and lead to lower productivity and decreased customer satisfaction. Gone are the days where you had to carry five different modes of communications. NEC has made new enhancements to UC for Enterprise Manager for increased efficiency and productivity. In our last post, we talked about NEC’s UCE Mobility and its ability to allow for a single number reach, a single voicemail box and enhanced mobile presence. But, this mobility solution can do even more. 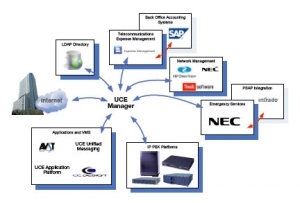 UCE Manager helps businesses become more efficient, responsive, collaborative and productive. SV8100 System Support – Towards the end of the year, everyone is usually busy and on tight deadlines. The UCE Manager can help you stay on top of everything by providing synchronization, extension and user edits, along with group management. NENA Data Synchronization: Looking for a way to sync your information? The empowered platform, now allows you to sync with the UCE Manager to receive NENA data containing information about the owner of the extension. Advanced Import/Export – Wanting to make scheduling and changing stations easier? With the advanced platform, you can schedule import through the scheduler and are no longer limited to templates. You can also import and export full moves, adds and changes of stations. Still interested in finding out more about UCE Mobility? 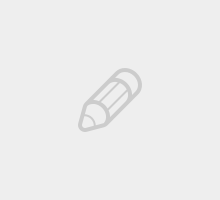 We’ve got one last installment of Learn How to Make Your Device UC Smart. Check back soon to learn about feature enhancements for Admins / Operators and Agents. Hey Buddy!, I found this information for you: "NEC awarded first Annual Software-Defined Networking Innovation Award from Search Networking". Here is the website link: http://nectoday.com/nec-awarded-first-annual-software-defined-networking-innovation-award-from-search-networking/. Thank you.